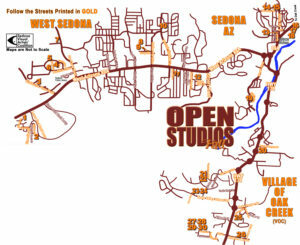 Working artists in the Verde Valley will be opening their private studios to the public for the Sedona Fall Open Studios Tour, which will be held the weekend of October 26-28, 2018. 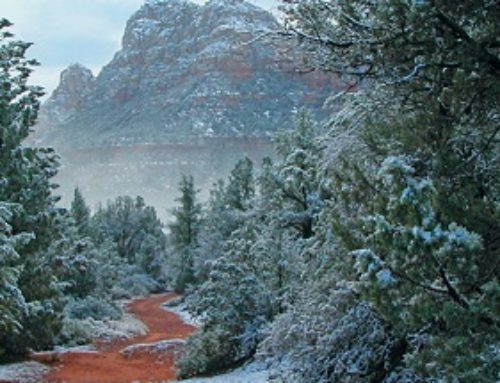 This wonderful, bi-annual self-guided event is presented by the Sedona Visual Artists’ Coalition (SVAC) and is always free to the public. 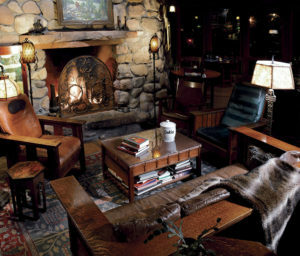 The Tour runs from 10 a.m.-5 p.m. Friday and Saturday, October 26 and 27, and from 12-5 p.m. on Sunday, October 28. The Tour’s co-chairs, clay artist Mike Upp and painter Julie Ronning Talbot, are counting the days until the Fall Tour kicks off. “Astounding, gratifying, and exciting,” are words that both artists use to describe the phenomenal growth of the Open Studios Tour in the six years they have been at the helm. 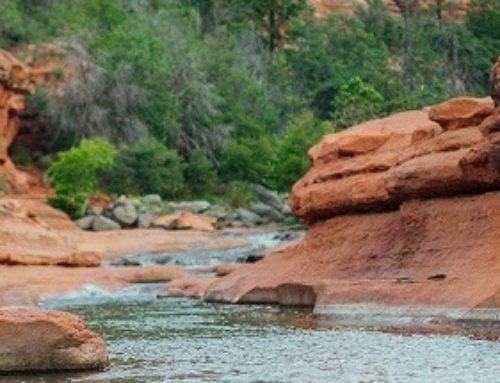 The SVAC Tour has built a reputation as a wonderful weekend for art lovers to visit with professional artists in their working studios, as well as an opportunity to purchase art while enjoying the beautiful landscape of Sedona and the Verde Valley. It also offers a fabulous venue for local artists to shine by engaging visitors and fostering a community that values the arts. 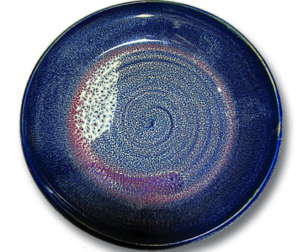 Past tour visitors have reported that one of the distinct pleasures of shopping on the studio tour is spending time with the wide variety of artists who offer a personal look at how and where a piece is made. 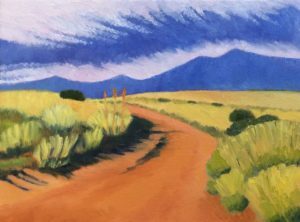 Open Studios’ co-chair Mike Upp explained that artists enjoy demonstrating their creative processes as they share their work spaces and, more importantly, making that special and personal connection with buyers and visitors alike. 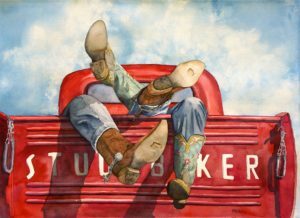 This year, there will be 35 studios and 50 artists participating in Sedona, the Village of Oak Creek, Cornville, Cottonwood and Clarkdale. Open Studios visitors agree that the event is a way to experience the creative process as a real hands-on learning event, with the invitation to watch a demonstration as a top draw. For example, visitors have the opportunity to explore the variety of artist’s tools — such as brushes, cameras, canvas, paper, paint, kilns, glass and fibers — that are used in creating the beauty on display. “There’s really no way not to be charmed, beguiled and thrilled with something different, in whatever your favorite medium is — be it glass, ceramics, pottery, sculpture, jewelry, painting, drawings, photography, fiber, weaving, mixed media, silks…it’s all here!” Talbot and Upp cheerfully promise. 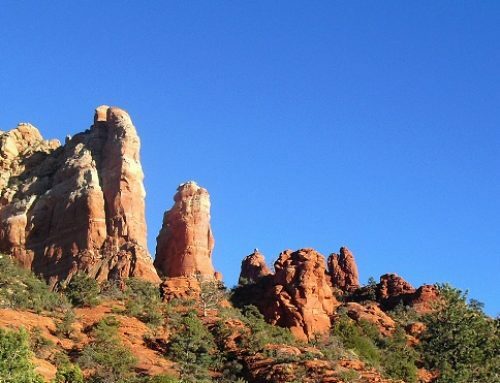 The Sedona Visual Artists’ Coalition is a 501(c)(3) nonprofit educational and charitable organization. This inclusive organization welcomes artists at all levels and encourages creativity, community, and camaraderie. Benefits of membership include a promotion of your artwork on our website, opportunities to showcase your art, the Open Studios Tour, social events and networking possibilities. For more information, please contact: Mike Upp at mjupp10@gmail.com or 503.789.4437.